You can no longer say Elvis has left the building, when you go to see Steve Connolly. Steve has performed at the Las Vegas Strip's MGM Riviera, Bally's, the Bellagio, and Caesar's Palace. 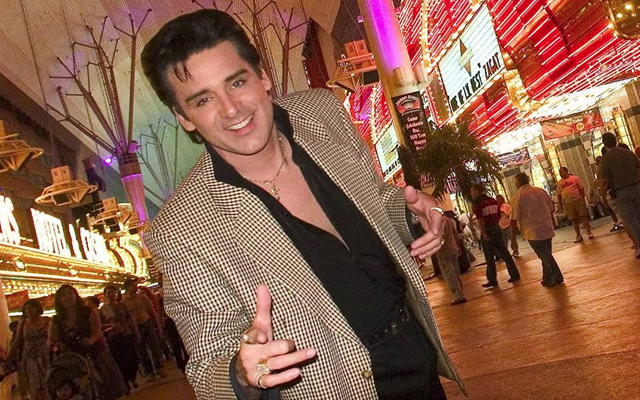 Steve Connolly has been called “the best Elvis impersonator” in Las Vegas. 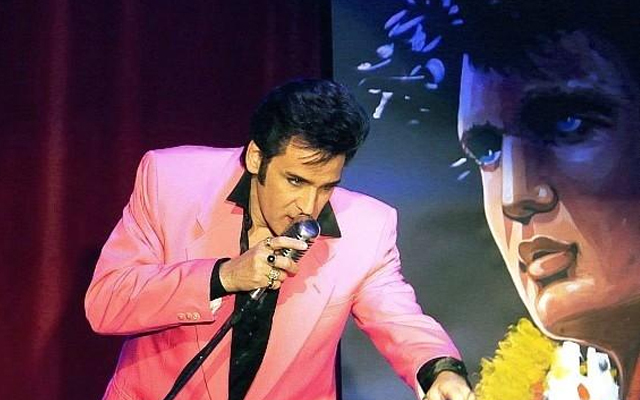 He is also known as the “most memorable” Elvis impersonator to hit the Las Vegas stages. You have not seen a show until you have seen Steve Connolly as the “King”. Steve has performed as Elvis at the aforementioned hotels over 3,000 times! There is no question of Steve Connolly's success as an Elvis impersonator. He has been a smash hit in theaters across Las Vegas. If you miss Elvis and want to see the ultimate tribute performance then you cannot miss a trip to Vegas to see Steve Connolly! 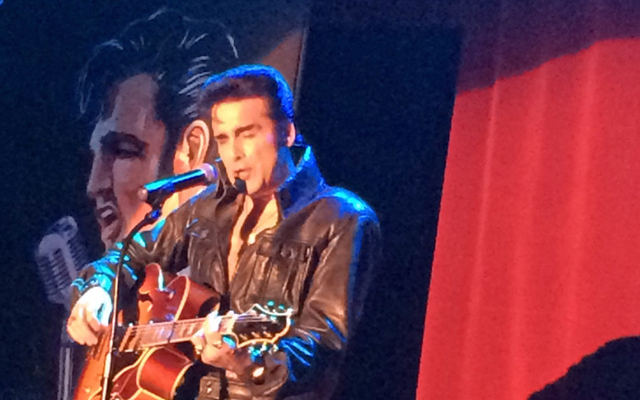 Steve Connolly is the only performer of Elvis who can still fill an entire, major showroom. You can believe he has had his show sell out and with good reason! Steve Connolly is the most entertaining impersonator in part because he is an extremely talented performer. It is also because of the care in which he takes to take on the persona of Elvis. He is dead on when it comes to the exact re-creation of Elvis. You will be stunned at how much he looks like, sounds like, and acts like the King of Music. With so many other impersonators in Las Vegas, it can be hard to distinguish them all. However, Steve Connolly truly stands out as the crème de la crème and he has his own fan base including several famous celebrities. Most notably are Steve Tyler, Mic Fleetwood, Paul Revere, and Kenny Logins. You simply will not find a better Elvis then the award-winning Steve Connolly. 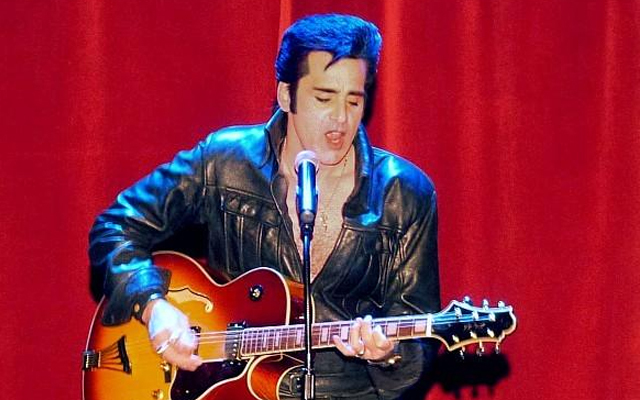 Currently, Steve Connolly is starring in the hit Elvis tribute show, “Spirit of the King”. This show is available at Fitzgerald's Hotel and Casino, which is located on Fremont Street. You will be able to purchase Cocktails in the showroom though the price for them is not included with your ticket. Steve was absolutely spot on and just a fabulous entertainer. I have seen Elvis six times and this guy can move just like him. There were times I thought that Elvis was alive and well. Steve truly has him down so well and you will thoroughly enjoy seeing "Elvis" AGAIN.